The Center for Women in Law and The NALP Foundation have joined forces to examine the experiences of women of color in law school. Grades, networks, and professional development play a pivotal role in the success of students once they begin practice. 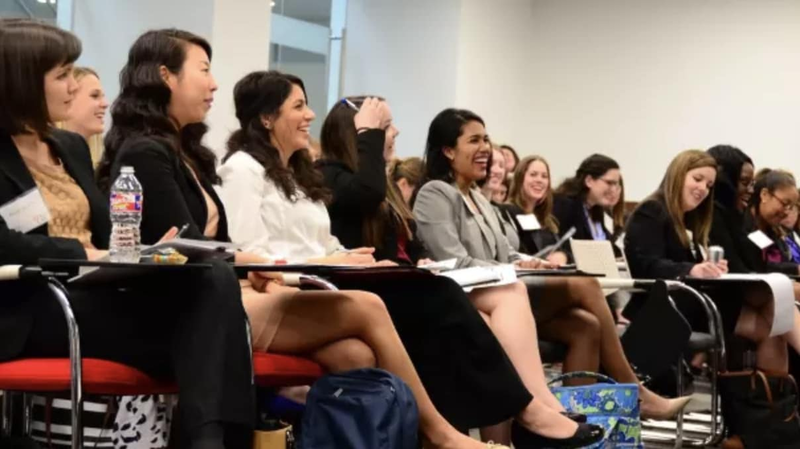 Women of color students in law school report a sense of isolation, exclusion from the best study groups, a lack of role models, disparate treatment by professors, and heightened objectification and sexual harassment at networking events. Notably, they report having to navigate quid pro quo offers, being counseled not to seek prestigious opportunities, and missing foundational career experiences. The Center for Women in Law and The NALP Foundation seek to identify disparities between the experiences of women of color law students and their peers, document those disparities, develop actionable solutions, and engage stakeholders to adopt the recommendations. We have collected quantitative data from over 4,000 students in over 45 ABA-accredited law schools across the country. Our next steps are to conduct qualitative data through student focus groups and administrator interviews, and then work with schools to implement solutions. Your donation is essential to the ensuring that women of color have thriving law practices. Thank you for helping us make law a more equitable profession for women of color. Will help us connect with law school students and schools across the country. We encourage you to give what you can, even if it's less than $50. Will help us go more in depth with our research by expanding our outreach. This ensures that we have the best data available to find solutions. Will help us conduct more focus groups across the nation. This is crucial for capturing the experiences behind the survey results. Will help us work with the students in our focus groups to identify solutions to closing gaps in disparities. These solutions, made possible by your generosity, will ensure that women of color have thriving law practices. Will help us reach more students and schools with the results of the research. Thank you for this generous gift. We can't wait to update you on our progress and what we have accomplished with your donation.